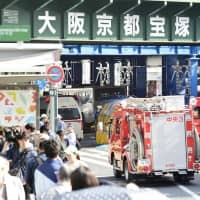 YOKOHAMA - A Yokohama man rejoiced Wednesday after receiving the second Hinomaru carried by his late uncle into battle during World War II. Hisashi Abe, an 80-year-old Yokohama resident, received the flag that was signed by family and friends of his uncle, Masamoto Abe, after it was mailed from the United States last week. 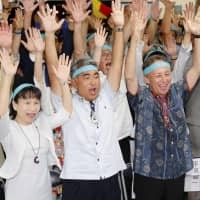 Two years ago, Hisashi Abe received the first of his uncle’s national flags through the cooperation of the Health, Labor and Welfare Ministry and the Obon Society, a nonprofit organization that has returned more than 200 flags to Japanese families who lost relatives in the war since its foundation nine years ago. “Just one flag was enough to surprise me, but I’m totally astonished because I’ve got another one,” the nephew said. The flag is in good condition with no significant damage and Hisashi Abe said he can recognize the names of relatives on it. However, he regretted that none of the relatives would be able to see the flag. 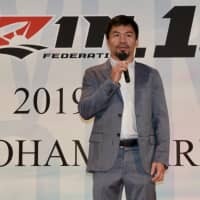 “It would have been better if this had come back to Japan while some of them were alive,” he added. 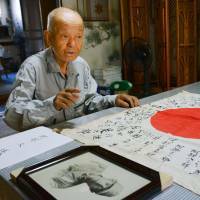 His uncle went to war with two Hinomaru, which were recovered with his body in New Guinea. A U.S. Army veteran took one of the flags, signed by co-workers at Nippon Carbon Co., to Portland, Oregon. That flag was returned in 2016. For decades, the second flag was on display in Washington state. In April, Ralph Wood, 85, contacted the Obon Society on behalf of the Gold Bar, Washington, post of the Veterans of Foreign Wars to determine whether “the mysterious flag” on the club’s wall was authentic. 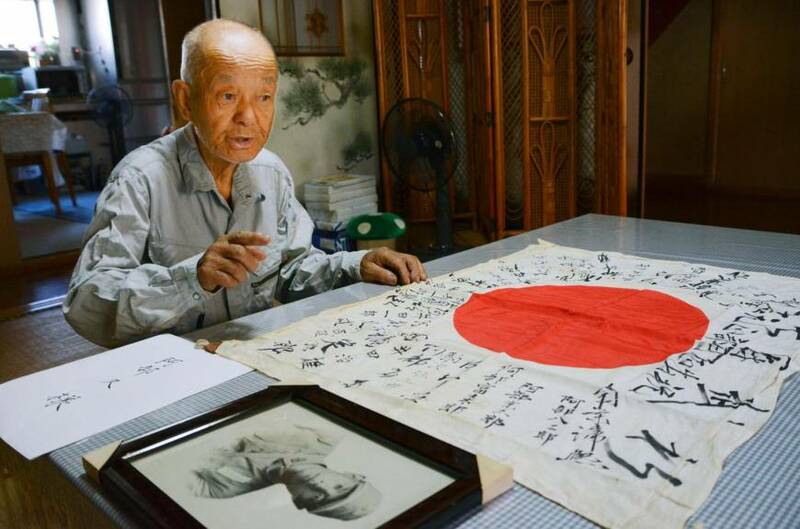 When the organization received the paperwork, they recognized the name on the flag and quickly confirmed with their Japanese scholars that the flag belonged to the same Masamoto Abe of Kanagawa Prefecture, whose other flag they had returned in 2016.